Finding a Green Recycled Part for your vehicle is easy. 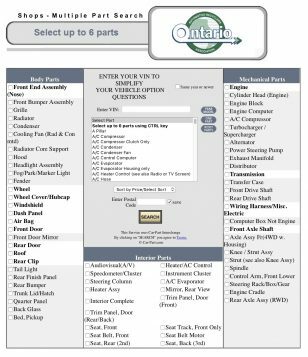 Local Members have access to a wide variety of sophisticated part locator networks that connects the inventory of dozens of auto recyclers across Ontario, hundreds across Canada, and thousands across North America. With the click of a mouse, they can instantly locate the right Green Recycled Parts for your vehicle.